Product prices and availability are accurate as of 2019-04-14 20:19:16 UTC and are subject to change. Any price and availability information displayed on http://www.amazon.com/ at the time of purchase will apply to the purchase of this product. 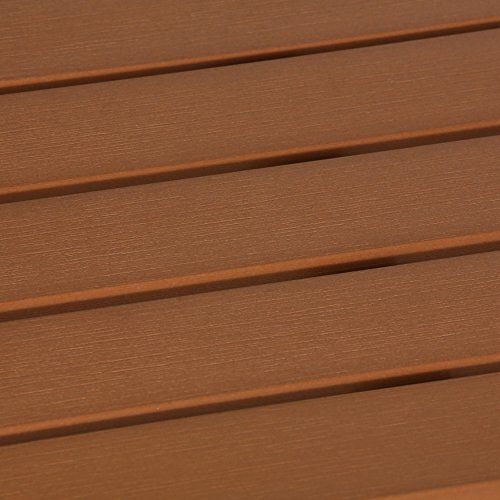 Complement your outdoor hangout with the Cortesi Home Avery Aluminum Outdoor Picnic Bench. The durable construction of this bench brings a sleek contemporary design home. The aluminum frame and polywood table top provides a rustic chic appearance that requires no staining or waterproofing upkeep. The HDPE of this bench does not absorb moisture, ensuring that it will not rot. 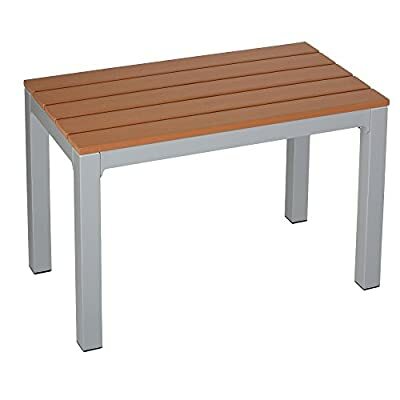 Resistant to stains and other environmental elements, this stunning outdoor bench creates an attractive and low maintenance piece for your everyday use. Cleaning is made simple by just using a bit of soap and water. Dimensions:Small: 26L x 14W x 17H in. Large: 55L x 14W x 17.5H in. Choose from available sizes. Constructed of aluminum and polywood. Finished in silver and teak. HDPE does not absorb moisture and will not rot. Requires no staining/waterproofing upkeep. Sleek contemporary design. Resistant to stains and the elements. Clean with soap and water.